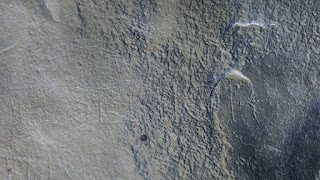 Stone 23 has several interesting surface treatments. At about shoulder height on the outside facing the path there is a highly polished area, quite different to any other stone surface in the monument. The enhanced picture shows it to the right. It looks like a polissoir area. I think it predates the 19th century graffiti of Mr Senior but others aren't so sure. 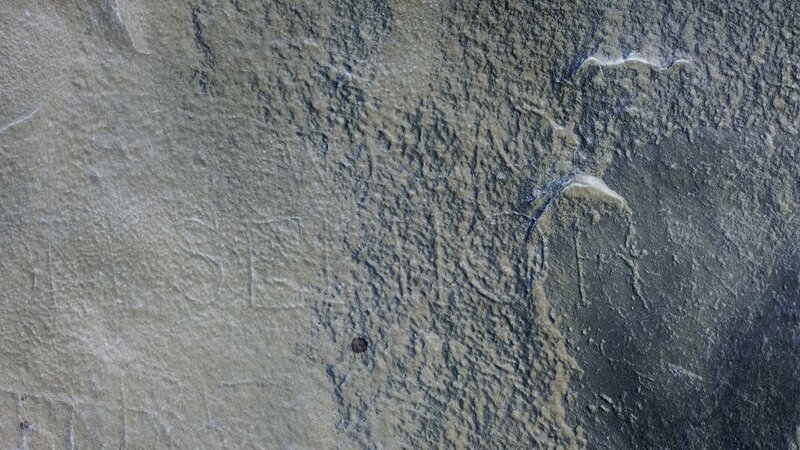 As an aside I think the upper graffito is W.READ rather than WREN. How Many Stones or Rocks Does Stonehenge Have?